U.S. sales of the Cruze have risen 24 percent during the first seven months of 2013, better than the 9 percent sales jump for GM overall. DETROIT (Reuters) -- General Motors has added a week of production at its Chevrolet Cruze factory in Lordstown, Ohio, this month to meet growing U.S. demand for the compact car, a spokeswoman said today. The Lordstown Assembly plant was originally scheduled to be closed the week of Aug. 26, UAW Local 1112 said on its Web site. Now, workers will continue to assemble the cars "as normal" that week, the union local said. "Sales have been brisk," said GM spokesman Annalisa Bluhm. "We didn't want to lose momentum so we decided to abstain from taking the week off." In July, U.S. sales of the Cruze shot up 70 percent to 25,447 vehicles over July 2012, according to the Automotive News Data Center. U.S. deliveries of the Cruze have risen 24 percent during the first seven months of 2013, compared to the same period in 2012, and better than the year-to-date 9 percent sales jump for GM overall. Among the top-selling compacts in the United States, only the Hyundai Elantra has posted a bigger year-to-date sales gain - 29 percent. Overall, U.S. sales of compact vehicles have advanced 10 percent to 1.32 million units through July and outpacing the 8 percent gain in industrywide volume. GM ended July with about a 50-day supply of the Cruze, less than the company's 68-day supply for its overall lineup, GM executives said earlier this month. The current generation Cruze has been assembled at Lordstown since September 2010. 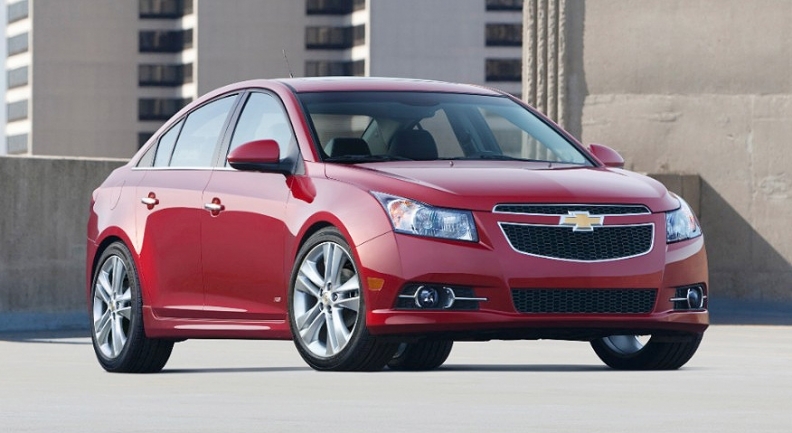 The Cruze was first introduced in 2009, the same year GM emerged from bankruptcy protection. The global financial crisis forced GM as well as its U.S. rivals Ford Motor Co. and Chrysler Group to close several plants. Now, U.S. automakers have running their U.S. factories around the clock to satisfy rising demand. A UAW official could not be immediately reached for comment. UAW Local 1112 is one of two locals that represent workers at the Lordstown plant, part of a complex that employs about 4,500 hourly and salaried workers.